The Friends of the Roxbury Library have launched a new venture to raise funds to support library programs in town. A bookstore, The Next Chapter, recently opened at Hodge Memorial Library & Museum, Roxbury’s library from the 1930s through mid-1990s, at 4 North St.
“It’s an absolutely fantastic idea,” said Shepaug Valley School librarian and Roxbury resident Joan Temple. The organization held a soft opening toward the end of last year and officially opened in January. The Friends, founded in 1989, is an organization that supports and promotes library services and activities. The group raises funds to supplement the library budget, supply books, DVDs, audio books and more, provide hospitality for art show receptions and make financial contributions for children’s and adult programs. The store replaces the Friends annual book sale. 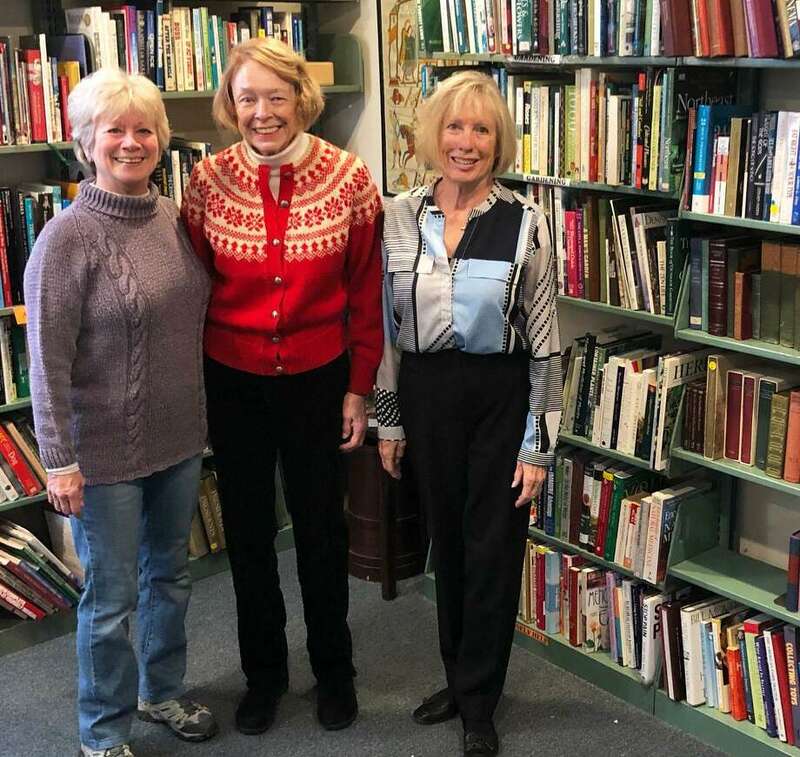 “I’m really proud of the Friends and the time they’ve spent making the space homey, comforting and welcoming,” said Teresa Roxburgh, director of Minor Memorial Library in town. Temple said she was impressed with the wide selection and quality of books the store carries. Hodge Memorial Library and Museum, built in 1937, was the town’s main library until a more modern one was opened a half-mile away on South Street in 1994. Over the years, Hodge library has been used for a variety of Friends programs, including literary programs, special events, storage and the Friends annual book sale held under tents on the lawn. The building began to be used more recently, though, when Roxburgh introduced the Pop-Up Pub, a frequent social event featuring drinks and refreshments, games and more. The idea of the bookstore came about last year after the Friends wrapped up its annual book sale. “Each year (the sale) got profoundly more difficult” to plan for and organize, said co-president Nancy Fyefield, citing a smaller pool of volunteers. Setting up tents and folding tables and carrying scores of boxes of books outside from inside the library was a lot of work for those involved, many of whom are elders in the community. “We thought we needed something that was more constant and on a smaller scale” similar to offerings at other libraries in the region,” Hopkins explained. When the Friends mentioned the idea to Roxburgh, she reminded the women of the many original Hodge bookshelves stored in the basement of Minor Memorial. From there, everything fell into place for the nonprofit organization. The Friends rearranged and cleaned the room, organized books on the library’s original shelves and decorated the space. After the success of the January event, the Friends received such a large number of book donations, they had to add an additional day to set up for the February sale. Nearly 20 book shelves, each with multiple rows, now fill the north room, once used to house Hodge’s fiction and non-fiction books. “It’s amazing how many books (the room) holds,” Hopkins said, estimating it’s in the thousands. Children’s books, non-fiction, fiction, gardening, self-help, health and history are among the topics. The Friends collect books the second Saturday of each month from 9 a.m. through noon from January through November at Hodge. The Next Chapter is open the third Saturday of each month from 10 a.m. to 2 p.m.
“People like the idea of being open every month,” Hopkins said. Patrons have also commented on how they like being able to donate books on a monthly basis. “There’s been a huge influx of book donations,” said Roxburgh, noting some patrons buy books one weekend and return a few weeks later to donate them back.